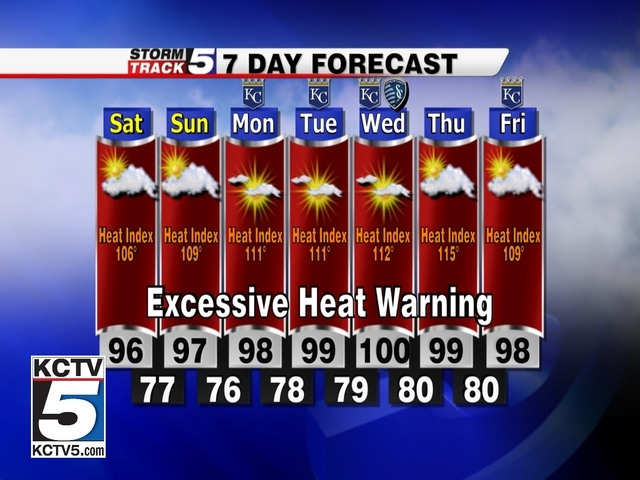 Today is another hot, humid day in Kansas City. UGH...just has every one feeling lethargic especially hubby. Seems he isn't loving the heat. I, on the other hand, think we need to get out of the house. So I say "Honey, let's....at this point of the conversation his eyes roll into the back of his head...he is thinking...God, please help me....she is going to want to go somewhere and force me out of the lovely air conditioned haven. He is right, of course. Really with a heat index of 106 this is the best day this week to go do something. I see in this morning's newspaper a couple of things of interest. The Nelson Atkins Art Museum has 3 panels of Monet's Water Lilies on display. This is the first time in 30 years that 3 of the panels are together. Although I am thinking maybe we need to save that for a hotter day as that would be indoors in the cool of the museum. Another option we have is to go see the LAST REMAINING B 29 BOMBER IN THE WORLD THAT CAN STILL FLY. Normally, I wouldn' t be into vintage planes but then again, just tell me that it is the last one of anything and I feel the need to see it before it is gone. So, I say to hubby, I really want to go see that plane. Rembember the footage of the B 29's in the old clips of WWII movies. I will say that judging from the expression on his face, he isn't jumping for joy at the prospect of climbing around on an old plane. Still being the good sport he is and all the years of putting up with my oddities he agrees to go. We are off to see FiFi. ﻿ At one time there were nearly 4,000 of the B 29's and this is the very last one capable of taking off. FiFi you are quite impressive. ﻿The Good for the Day...The older gentleman that were there answering my assorted questions. Remember that I am the ultimate question asker. The Weird for the Day...Seeing all the old planes out on the runway where corporate jets usually sit. I love talking to the people that "were there" it makes history come alive for me. A lot of times it's just something that I know happend but it does't hit home. My friend's dad was in Pearl Harbor on the day of the bombing, when he retired to Spokane he became an air traffic controller, he is the only person in the United States, and maybe the world to have a tower named after him. He recently passed, I would have loved to sit and listen to his stories. You and I have that in common. I love talking to those people that lived in eras that I only know about through books and movies. (really, I also, think those old guys are amazing and interesting. My dad was too young to be in WWII (and he's deceased now) but when I occassionally get a chance to visit with older people, I do. That is awesome about your friend's dad. Wouldn't it have been interesting to sit and talk to him. That's one of the many reasons I love Henry so much, to me he's a walking history book. He lived through the depression, he was a child of Polish immagrants who didn't speak english, he was a logger back in the days of old growth timber and trains and steam donkys. He sold booze for a moon shiner during prohibition to make ends meet. It's amazing, and it's really disheartening when old people are discarded as worthless/useless. When we go out and I see some old person sitting by themselves I always go talk to them and get their story. I learn so much about people and the world that way. What a neat trip! History was never one of my favorite subjects in school, but I love experiencing it firsthand! Don't melt this week, okay? Wow, talk about a life well lived for Henry. I find people like that amazing. I, like you, would have loved to sit and talk with him. I think it is a real shame that age has a really negative connotation in today's world. Good for you to reach out and talk to older people. I used to have a job with one of the big protestant churches and they paid me to go visit people in assisted living facilities. What a gig. To be paid for something I do for free all the time....yak...yak..yak. I had to quit when my training company got so busy. I still chat it up with anyone around me, wherever, whenever, whoever. The heat does inhibit us wanting to go out for extended periods of time. I am thinking today we will pick an indoor activity. Pretty fun seeing the old planes though and the place was swamped with all the older veterans. I just love those old guys in their 80's and 90's. They are too cute. It is so much more fun seeing aspects of history in person than reading about it in a book. It must be hot where you live too, this week. Do your little ones mind the excessive heat? Our grandkids don't seem to notice that it is hotter than Hades. Call me a geek, but I see where George Lucas got some of his ideas from. That outside cockpit looks like the one from the Millennium Falcon! I think using your kid for excuses is a great idea. Really you only have about 18 years per child to pass the blame to them and they have the rest of their lives to blame their problems on you. This heat is really a pain and it doesn't look like its going away anytime soon. I don't think you are a geek at all. Ding, ding, ding....you win the prize for being that observant. That nose looks exactly like the Millennium Falcon. That never occurred to me. I replied in the wrong spot...so here it is again.I think using your kid for excuses is a great idea. Really you only have about 18 years per child to pass the blame to them and they have the rest of their lives to blame their problems on you. Okay, I am probably an idiot, but I have no idea what a heat index is. I assume it has something to do with humidity, which we have none of. It's a dry, death heat here. But yours is probably worse. You assume right. With the humidity factored in, that heat index is the temperature that the air feels like. Either way humid or dry, it is H-O-T. I never for a minute think you are an idiot. ...that being said, the pics were great! Anytime you want to go to an air show and the hubs is giving you grief, call me. My dad was a fighter pilot, my uncle a tail gunner in WWII so I grew up at air shows. I love them. And you're right, your forecast looks pretty good to me. He is always a good sport to go on adventures with me even if he isn't particularly interested in whatever I am taking us to. I am good to give him hugs. That is impressive about your dad and uncle. Everytime I see all the instruments in a cockpit, I am in awe that men/women can learn to fly them. I have several girlfriends that have pilot licenses and I think that is so cool. You have it worse weather wise for sure. Your area has the humidity and the hot. UGH!!! FiFi you are quite impressive, indeed. But I think it's MORE impressive that you left the HOUSE in that kind of heat/humidity!